So what is the other thing I watch? Avatar the Last Airbender: Legend of Korra. Remember this post? Well, let me just say Legend of Korra is living up to its predecessor. Every episode leaves me wanting more and more and more! The episodes are only half an hour long, and right now, I feel there are so many things unanswered. The characters aren't as likable as the first series though. Don't get me wrong, these characters are great, there's just not a character I love. Whereas from the first series, I loved multiple characters, with Zuko being my favorite. 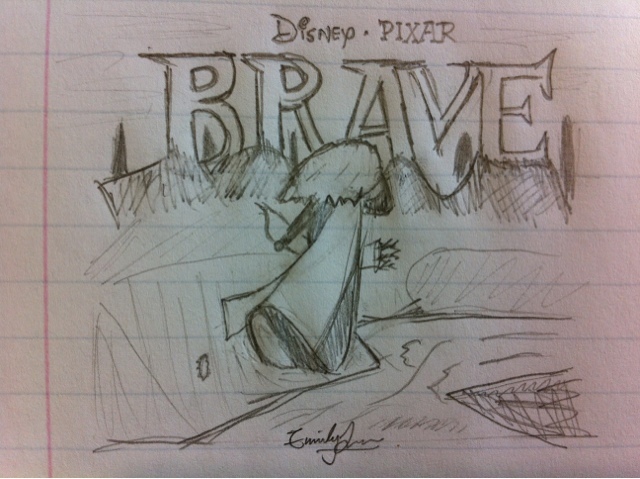 First up is a sketch of Merida from Disney•Pixar's Brave. She is the fire-red haired, spunky princess and heroine of the film. Although, you can't tell any of that from the my black and white doodle. I really do suggest clicking on the link in the caption. 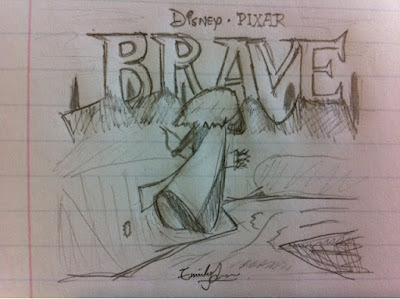 I haven't actually seen the film yet, but I have high expectations and am so excited to see it in a couple of weeks. I referenced this promotion art here. I really do recommend you check it out. The art from this film is great! Next, the character I miss the most in Legend of Korra, Aang. Zuko may have been my favorite character, but Aang was the show. Aang is in Legend of Korra but only in flashbacks and in an older form. Here I've drawn them both. When I first saw older Aang, I was shocked, "no, this can't be Aang." 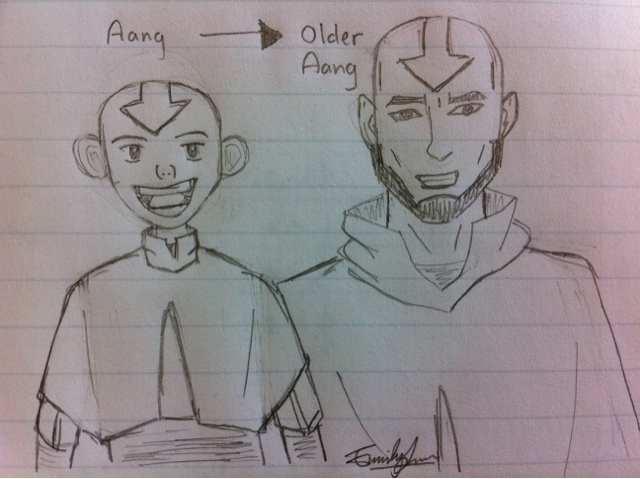 But Older Aang has really grown on me, especially his facial hair. He really does embody what Aang would look like when older.